Global life expectancy grew by 5.5 years between 2000 and 2016, the World Health Organization said, warning though that unequal income and access to health care translates into far shorter lives for many. 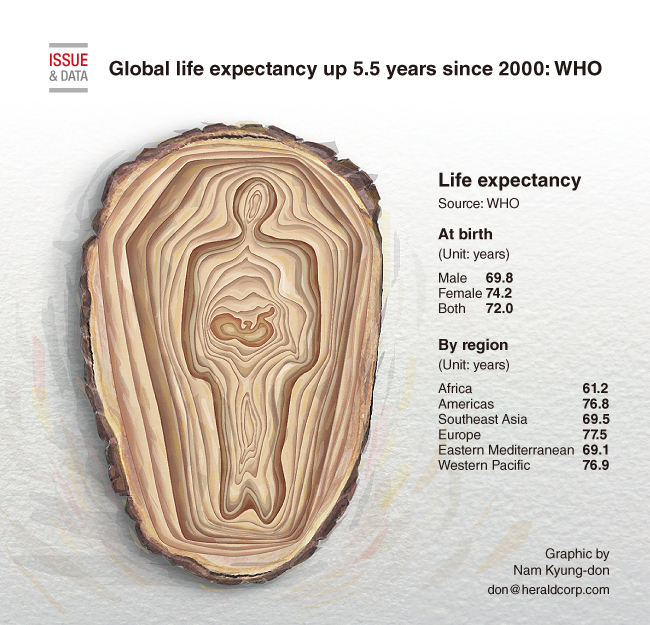 The UN health agency also stressed significant gender differences in life expectancy worldwide. On average, a child born in 2016 can expect to live 72 years, up from 66.5 in 2000, according to the annual World Health Statistics report.